Valletta Cruise Port plc is a private company established in 2001 and licensed by Transport Malta to operate the Valletta cruise and ferry terminals. Valletta Cruise Port is a renowned port of call and a growing homeport, situated in the centre of the Mediterranean. Its central location makes it ideal for east and west Mediterranean cruise itineraries. 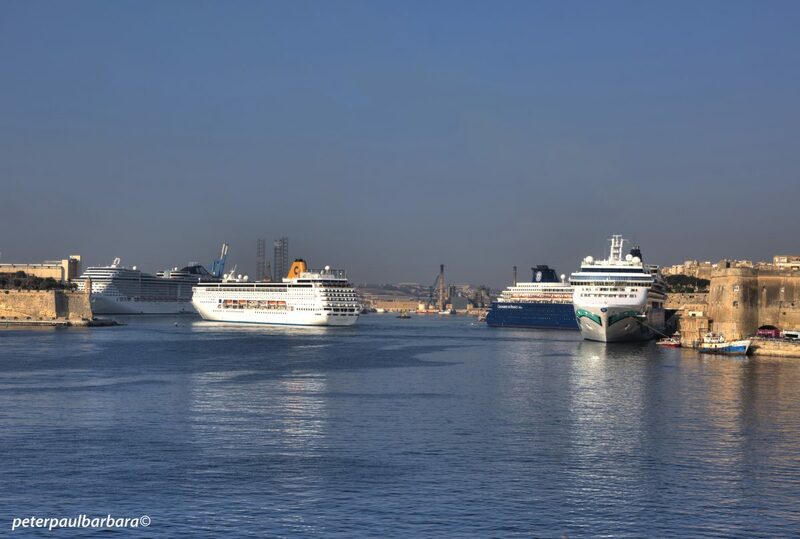 Valletta’s quays are ISPS-compliant and can handle the largest cruise vessels. The total available quay length is 1,874 meters. Cruise lines benefit from 24/7 support services, including bunkering, ship-chandelling and ship-repair. In terms of facilities and passenger support services, the country enjoys an excellent reputation for its accommodation facilities, multilingual guides and tourism activities as well as wide-ranging multimodal transport services. All these factors combine to render a call in Malta a memorable experience. Valletta Waterfront is a key element of Valletta Cruise Port with various shops, cafes, restaurants, offices and other amenities in beautifully restored 18th-century warehouses stretching along the water’s edge.